1,3-Dimethylamylamine (DMAA) is known to be added to dietary supplements from synthetic sources and, presumably, from natural geranium oil. However, the natural occurrence of DMAA in geranium oil (Pelargonium graveolens) has been controversial as published studies report contradicting findings. 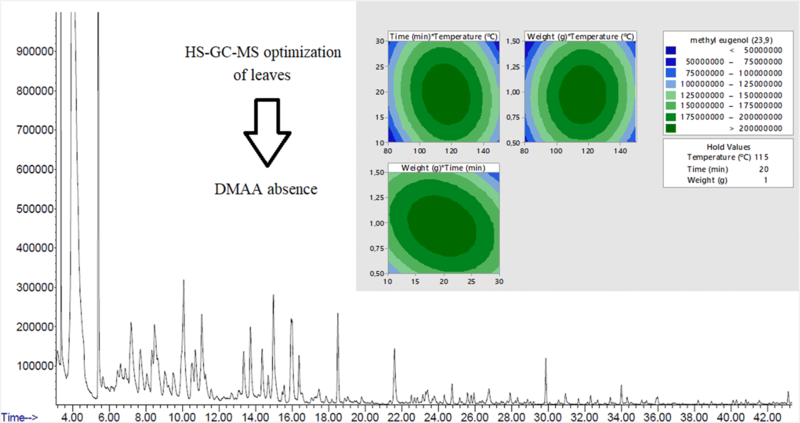 It is unclear if the difference in detection of DMMA in Pelargonium species is a result of the loss during extraction methods, different detection capabilities of analytical methods or if the content of DMAA is dependent of the species and geographical origins. 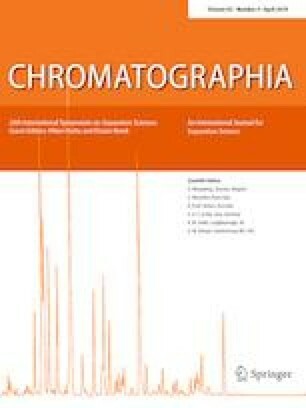 Consequently, the purpose of this study is threefold: (1) to compare the analytical performance of mass spectrometry methods for the detection of DMMA, including GC/MS, DART–MS/MS and LC–MS/MS; (2) to evaluate if DMMA is lost during the extraction of essential oils from Pelargonium leaves of species from Brazil testing headspace extraction, and (3) to evaluate if DMMA is naturally present in a variety of essential oils originating from six countries. This study shows that for detection of more volatile compounds, headspace GC–MS proved to be more favorable than hydrodistilled essential oil analyzed by direct injection in GC–MS. DART–MS/MS showed to be a good alternative for identification of essential oils compounds and DMAA without sample preparation; LC–MS/MS proved to be sensitive for DMMA identification. Nevertheless, even after the analysis using mentioned methods, all essential oils and for the first time, the volatile components extracted from leaves, showed to be absent of DMAA, proving that its presence is not natural in these species. The online version of this article ( https://doi.org/10.1007/s10337-019-03715-y) contains supplementary material, which is available to authorized users. The authors are thankful to CAPES-scholarship (Coordenação de Aperfeiçoamento de Pessoal de Nível Superior), CNPq (Conselho Nacional de Desenvolvimento Científico e Tecnológico) and FAPERGS (Fundação de Amparo à pesquisa do Estado do RS) (PqG 02/2014) by financial support; and to Laszlo Aromaterapia- Ltda, Brazil, Ferquima Ltda and Verbena Ltda for donation of essential oils.